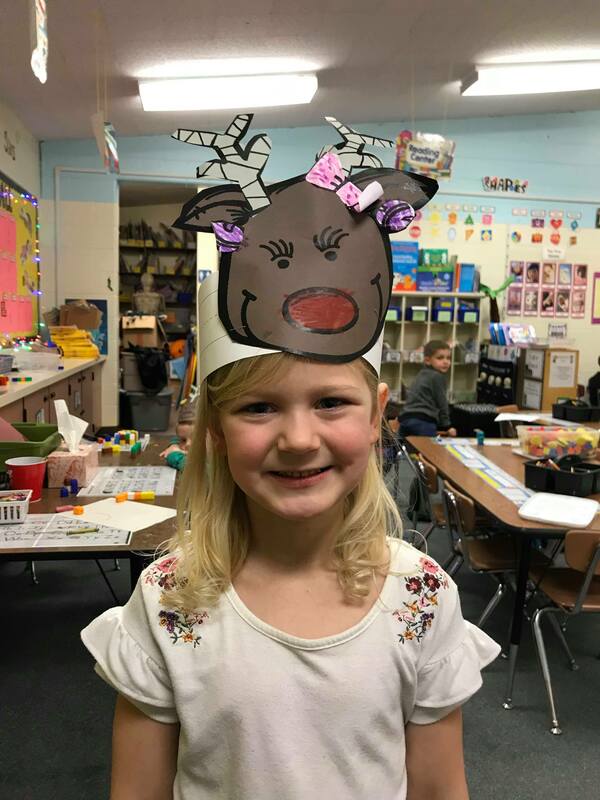 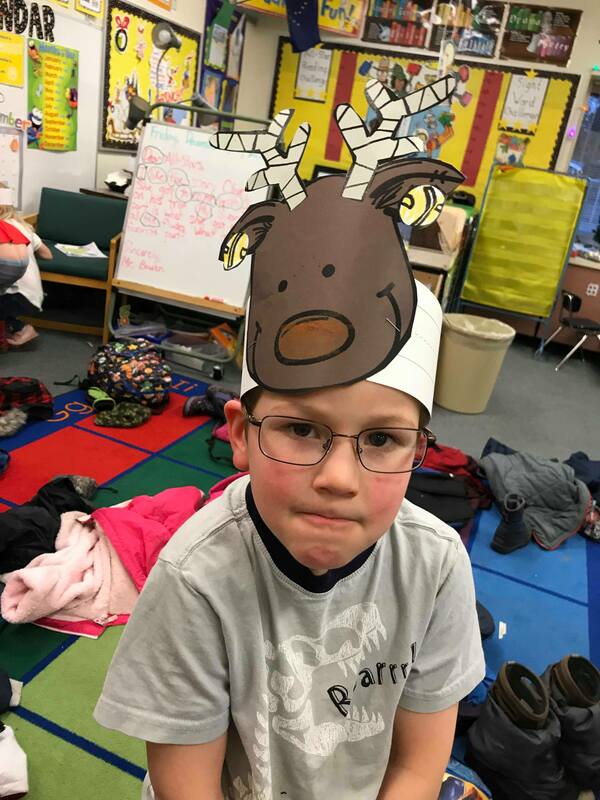 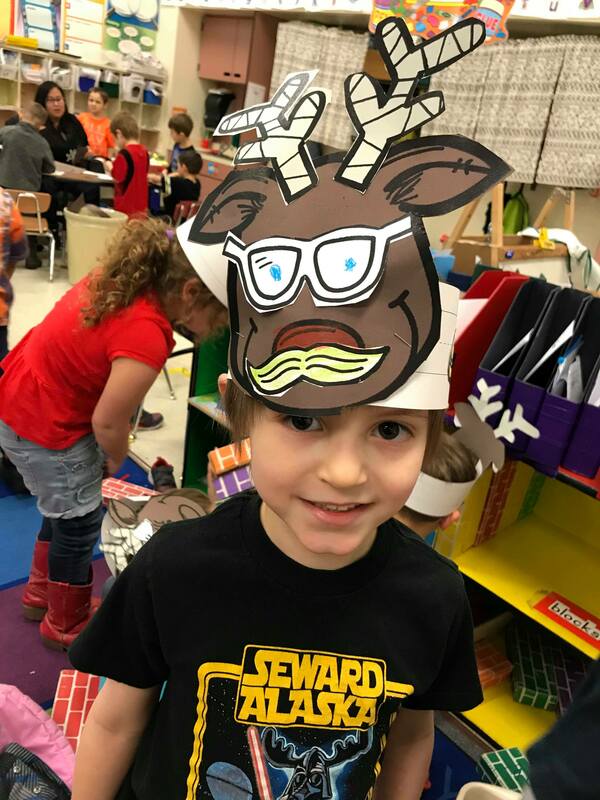 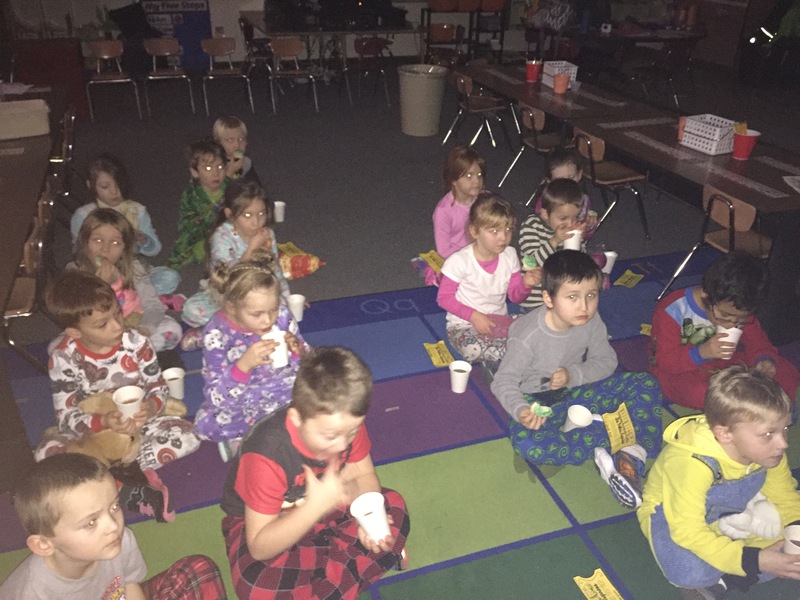 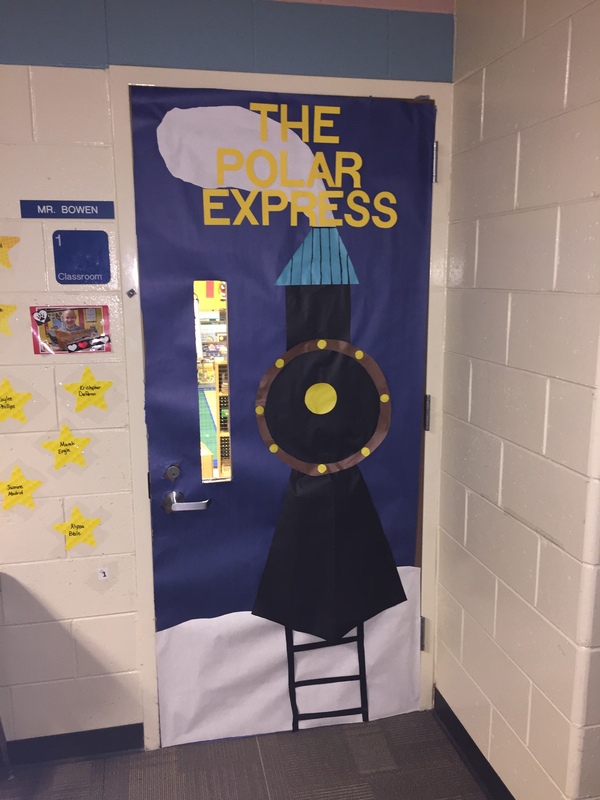 Last week was our reindeer theme! 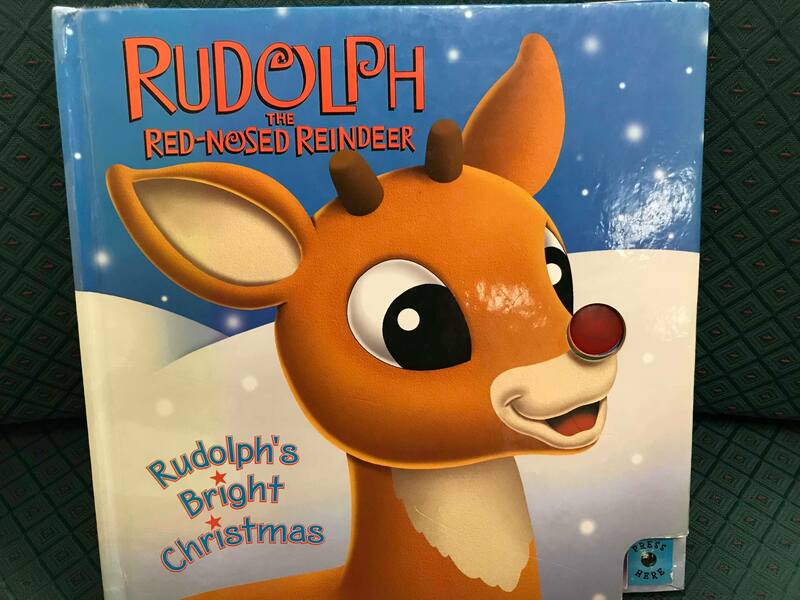 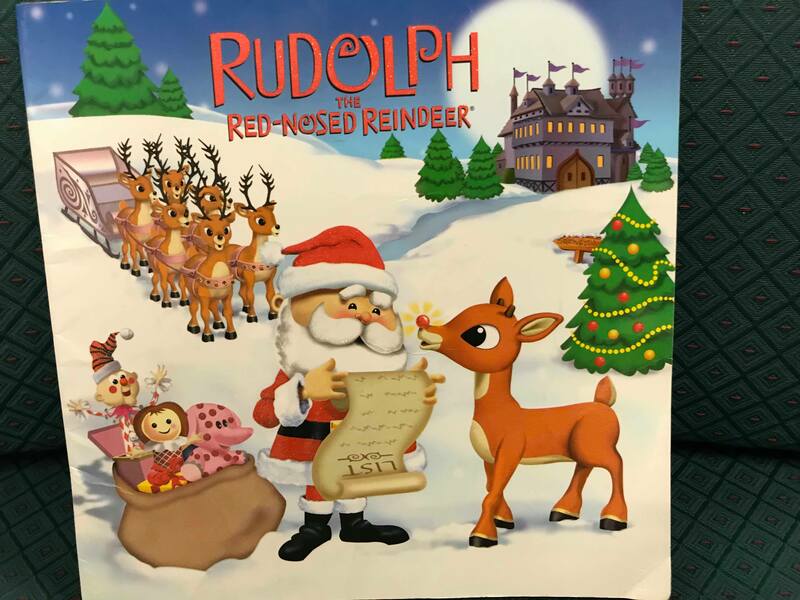 We started by reading Rudolph the Red Nosed Reindeer, and Rudolph’s Bright Christmas. 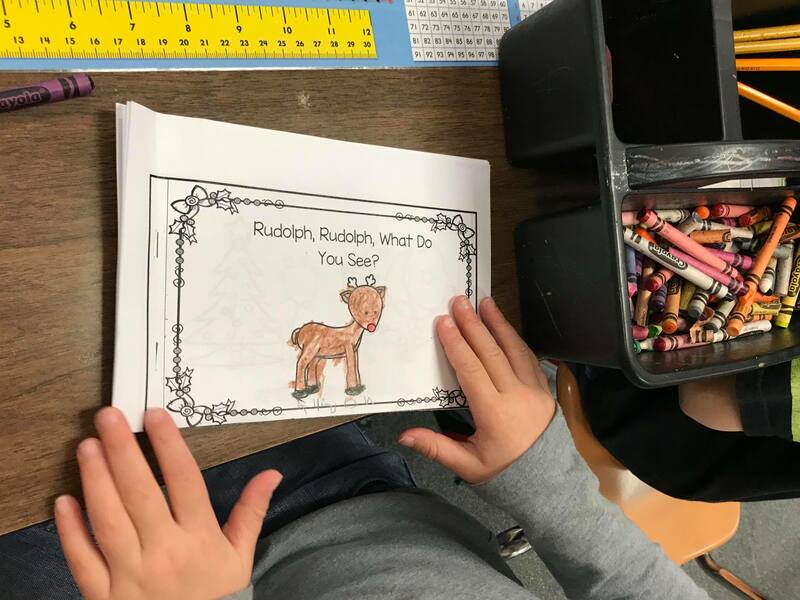 We also read a nonfiction story about caribou. 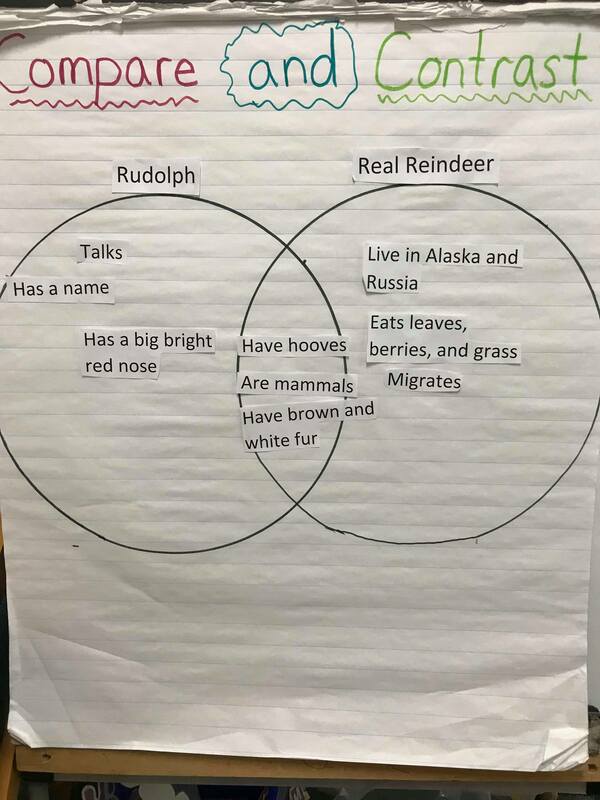 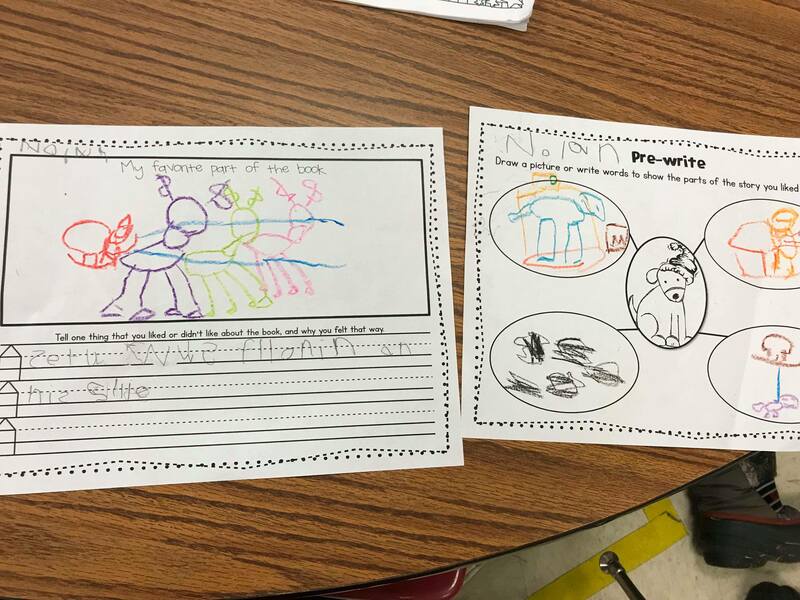 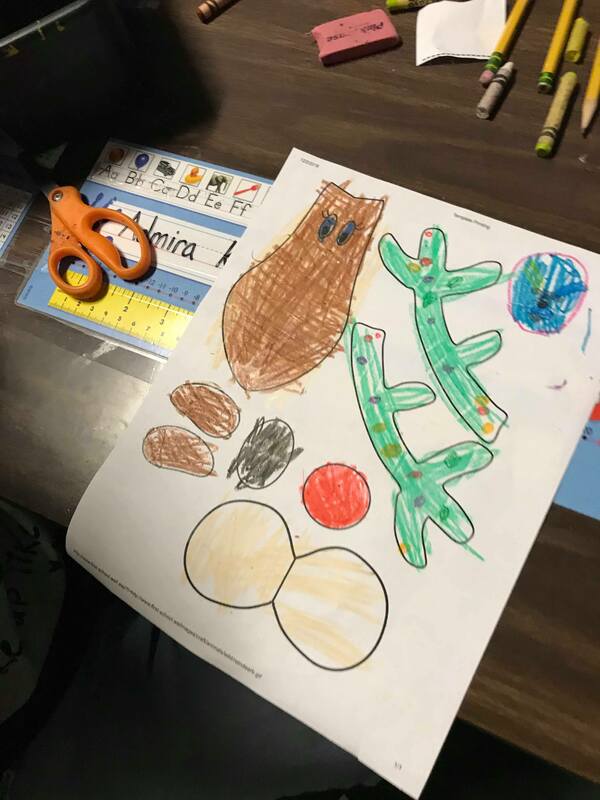 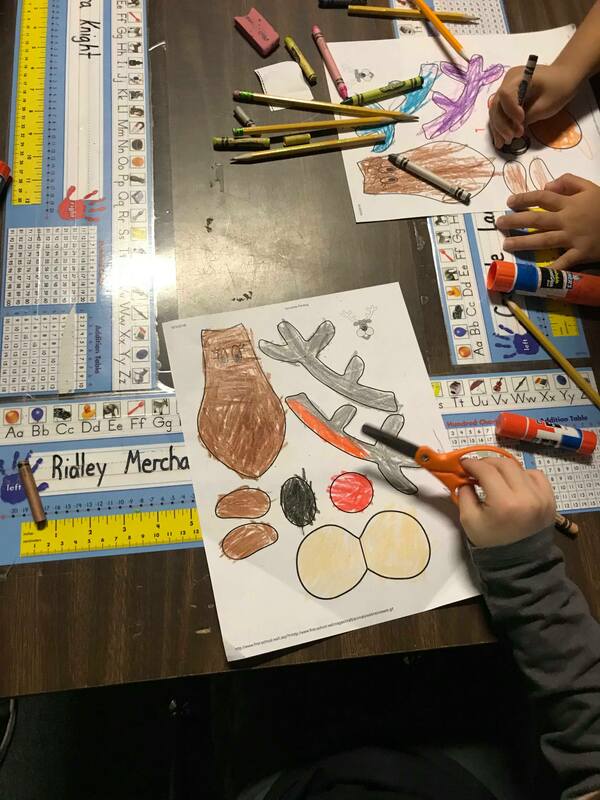 As a class we labeled a Venn diagram that showed the similarities and differences between Rudolph and caribou. 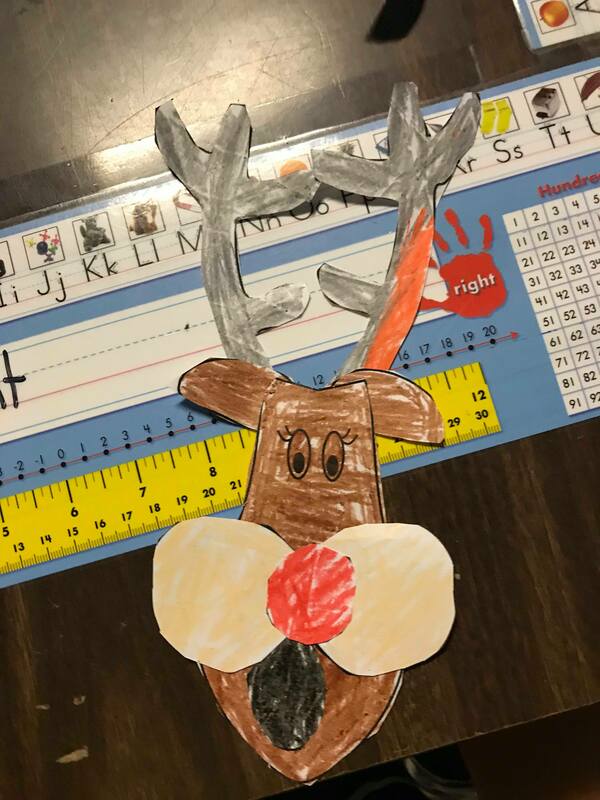 We also made cut and paste Rudolph’s. 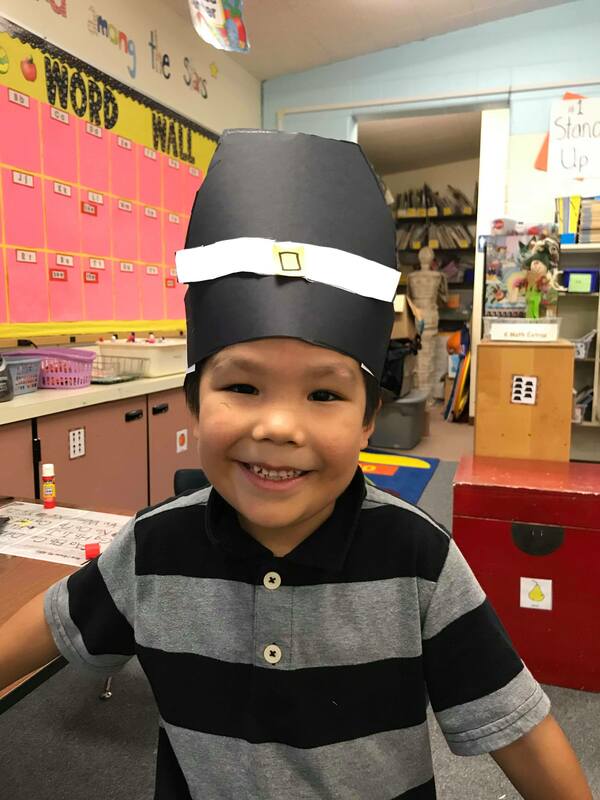 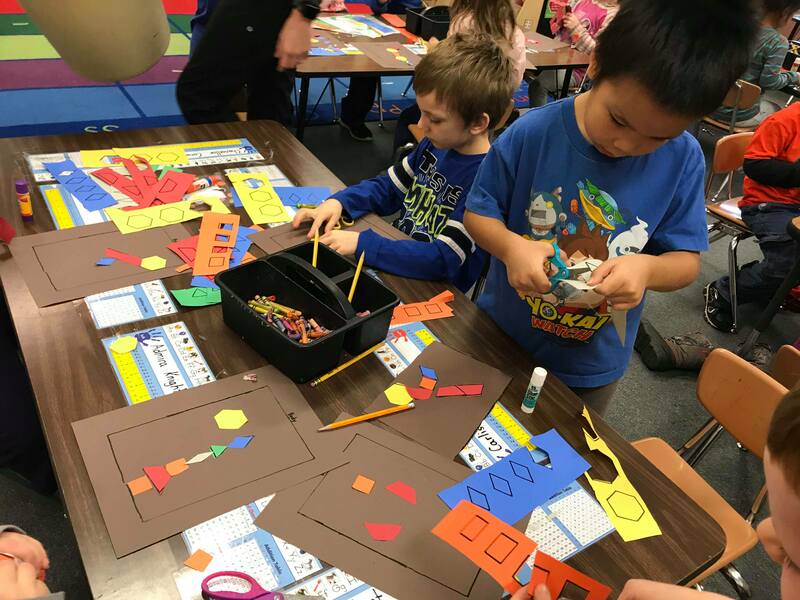 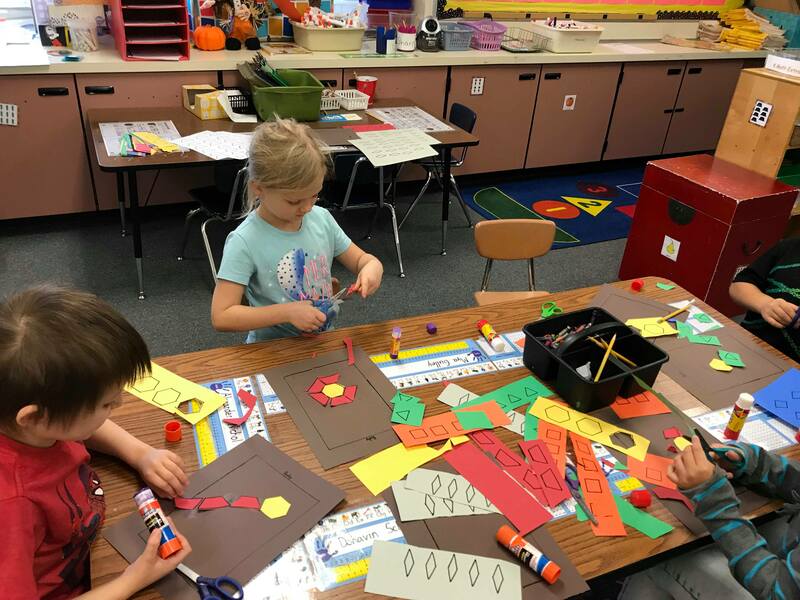 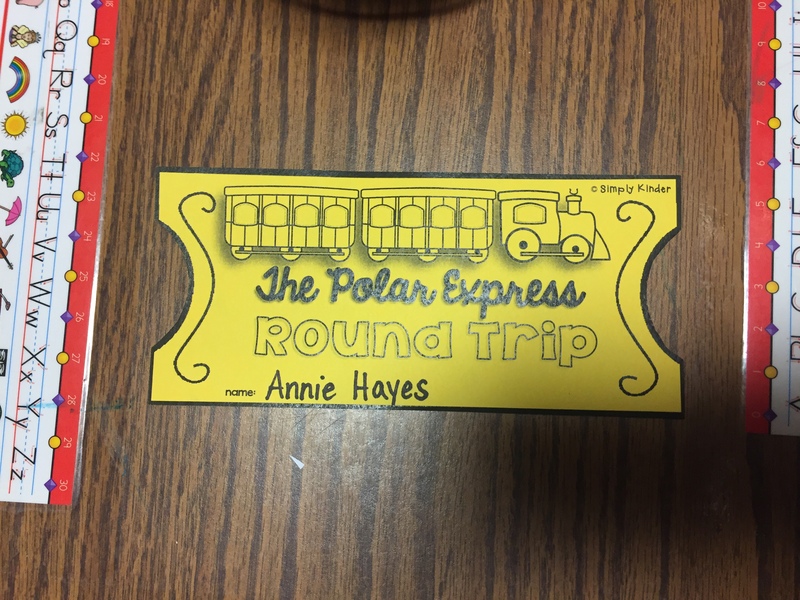 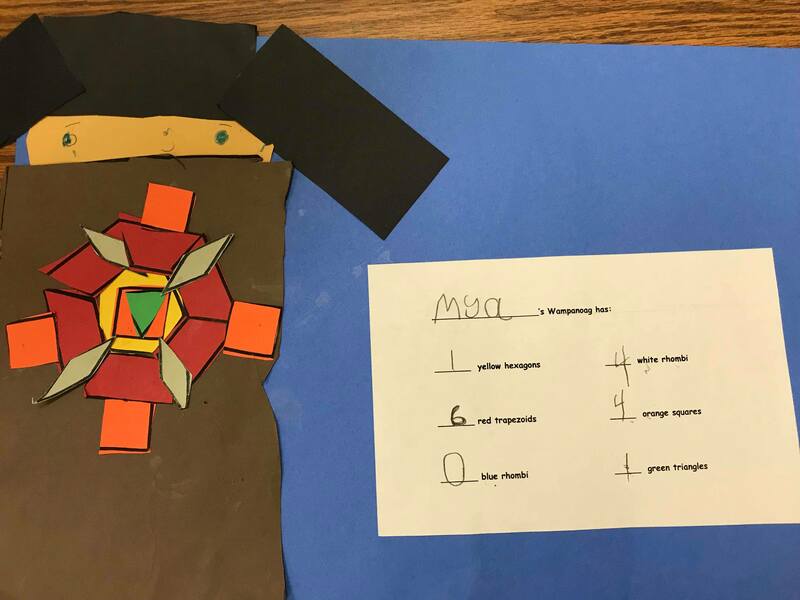 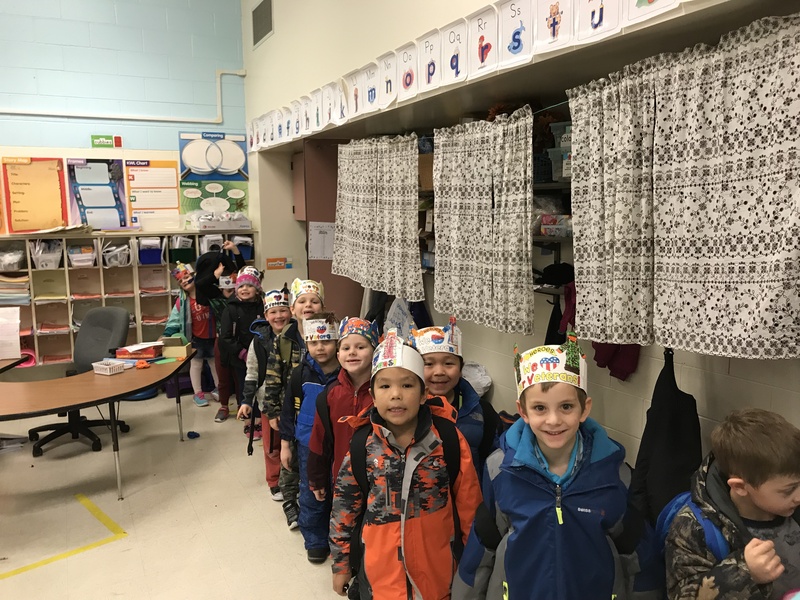 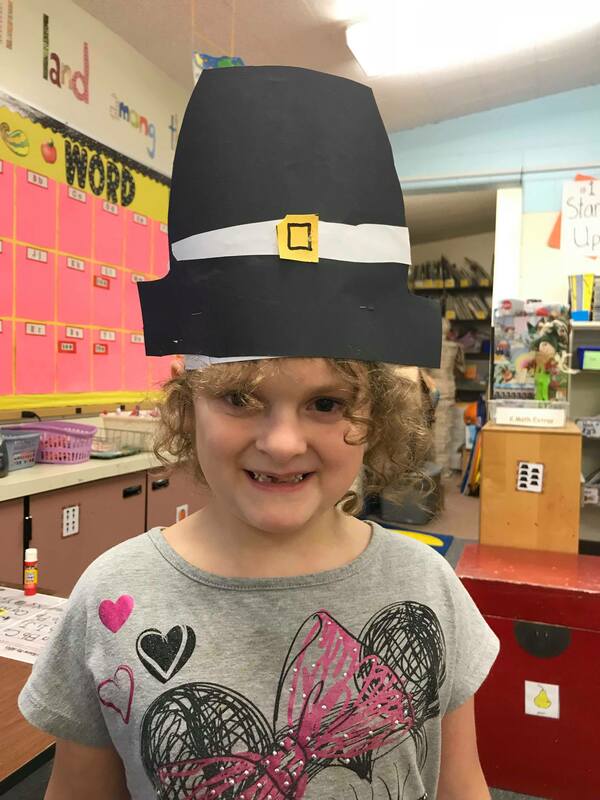 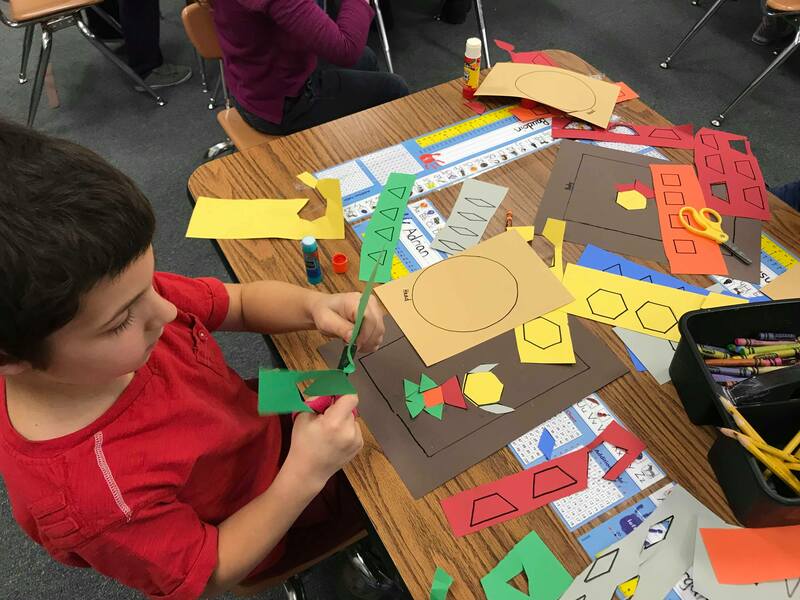 Last week was Thanksgiving and we did many activities related to the holiday. 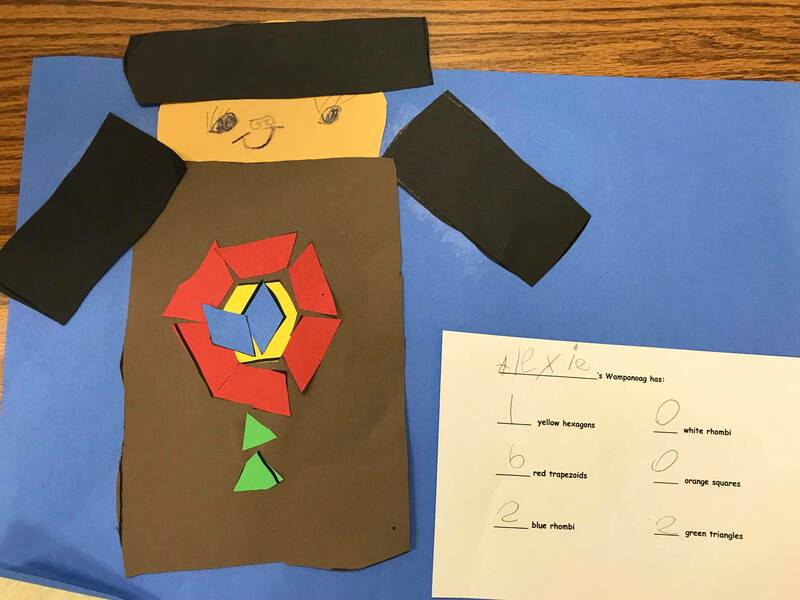 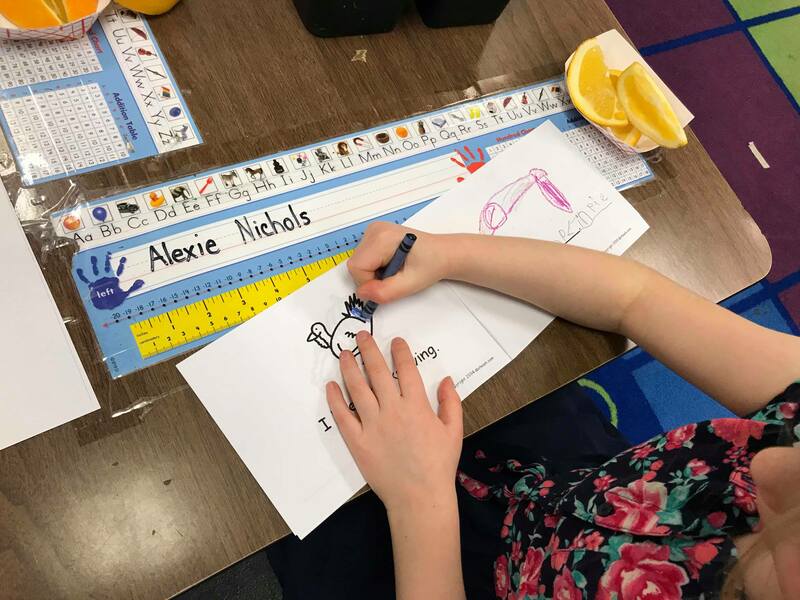 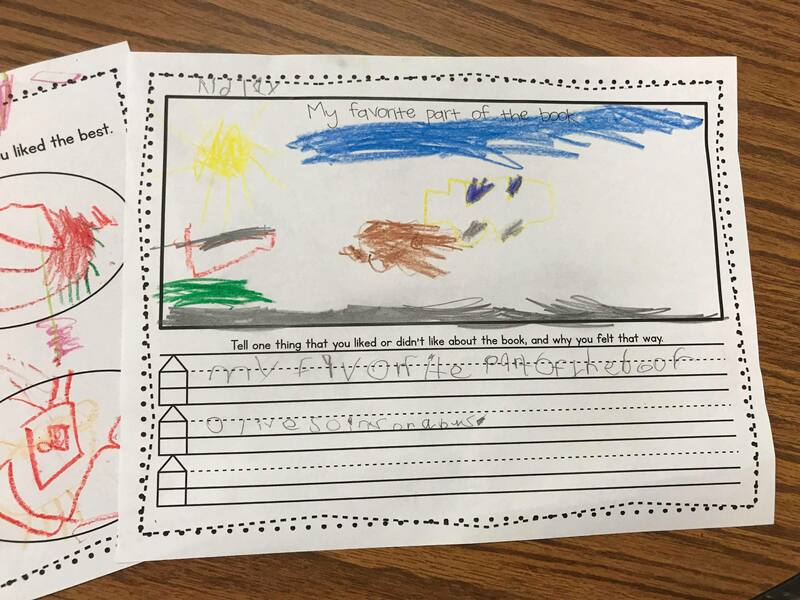 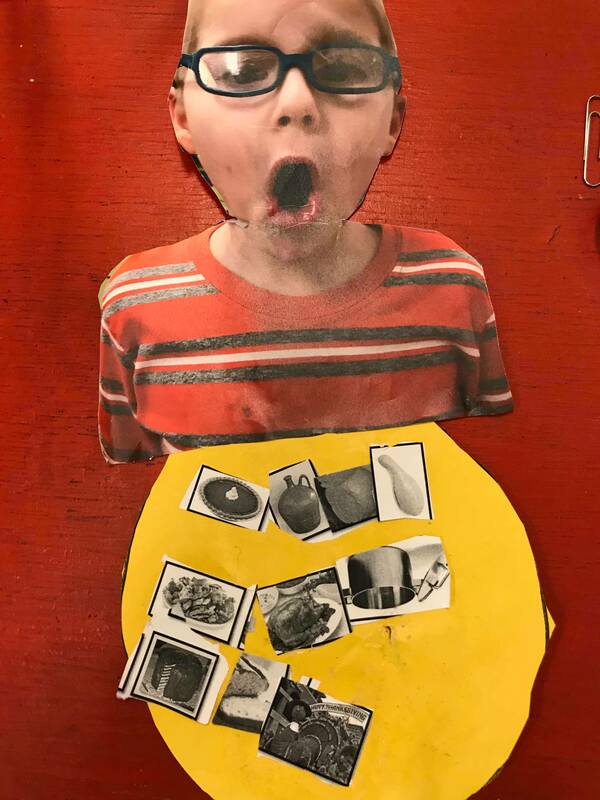 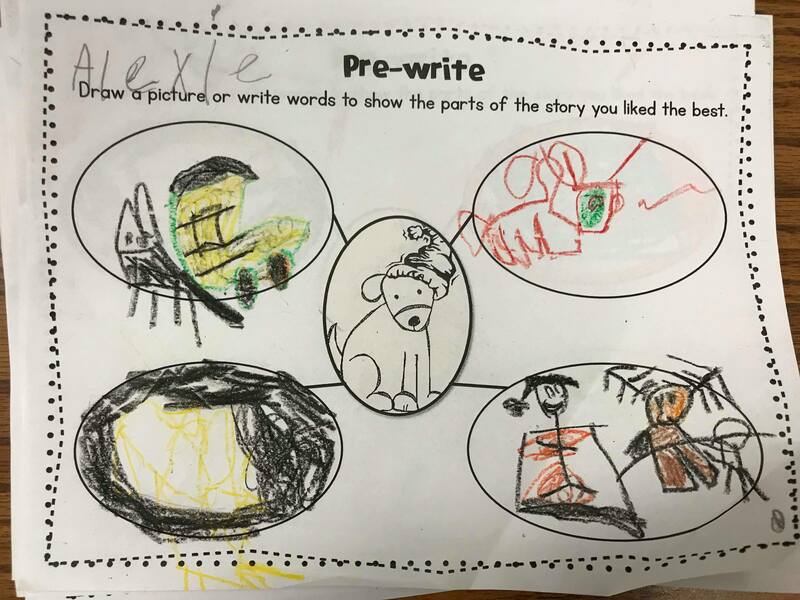 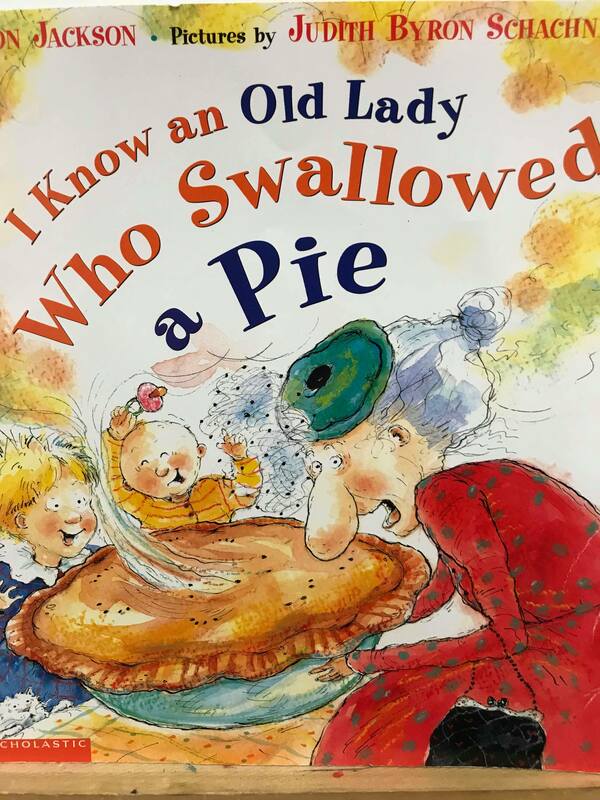 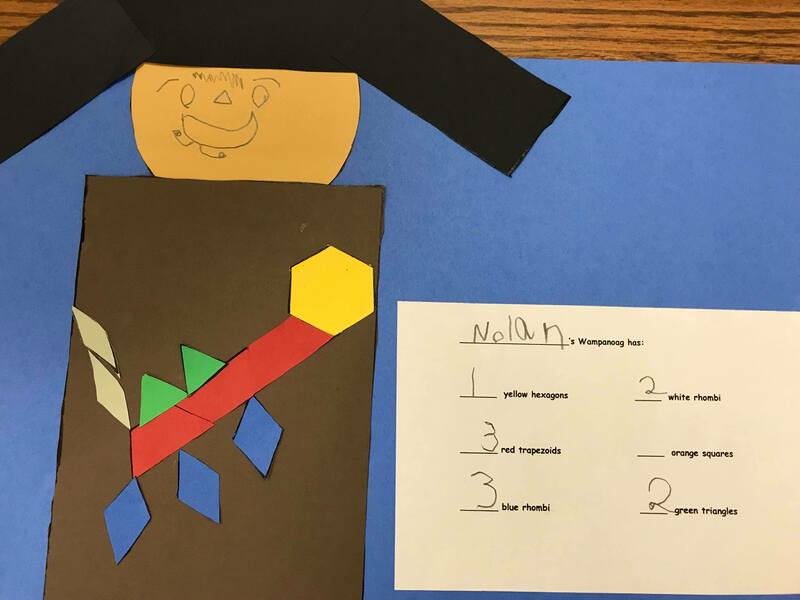 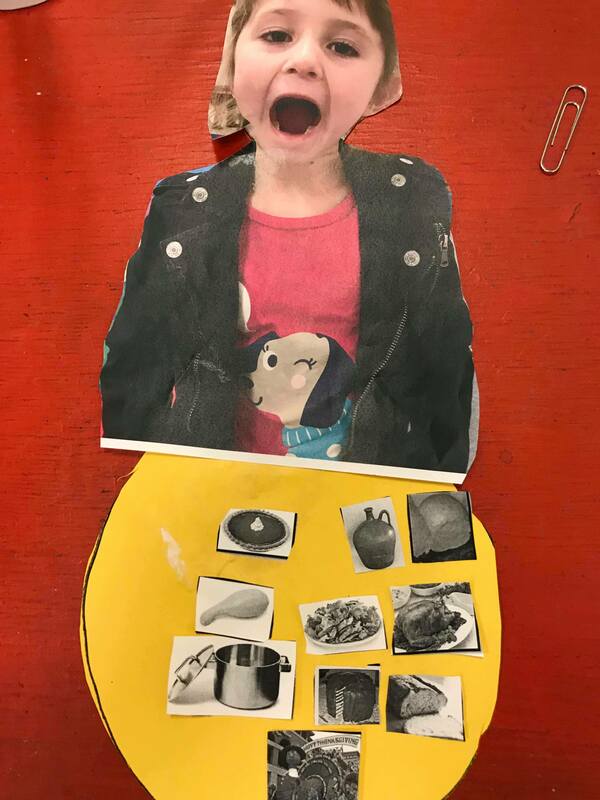 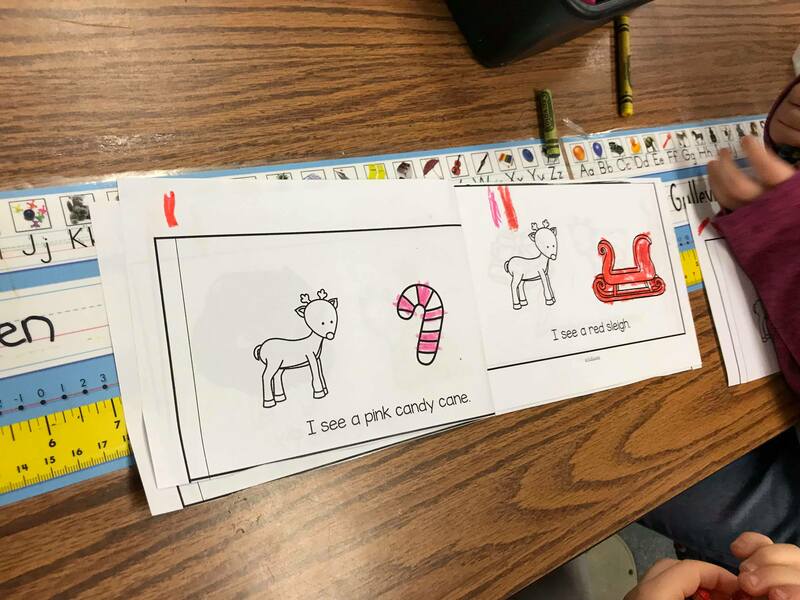 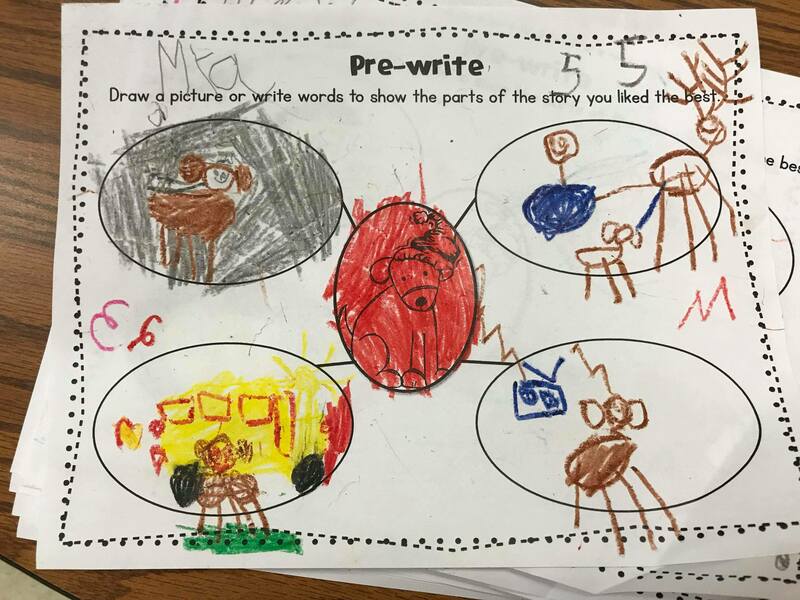 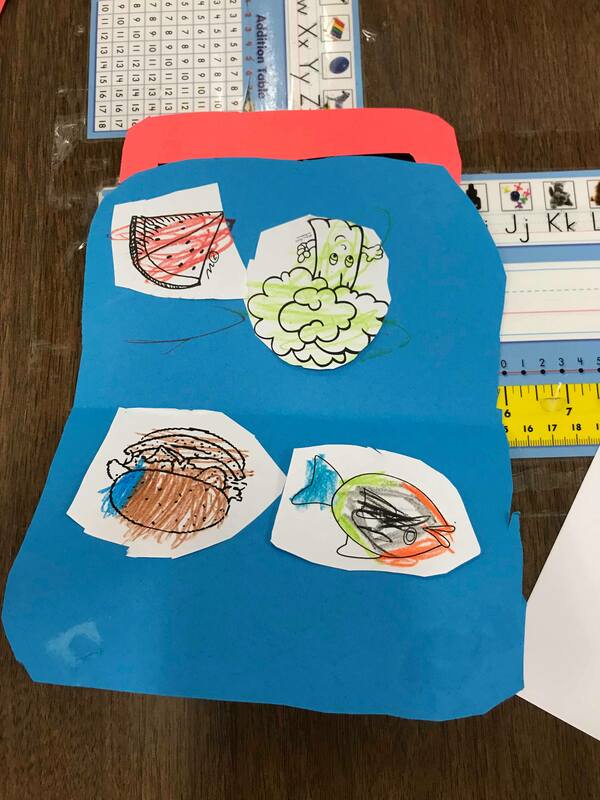 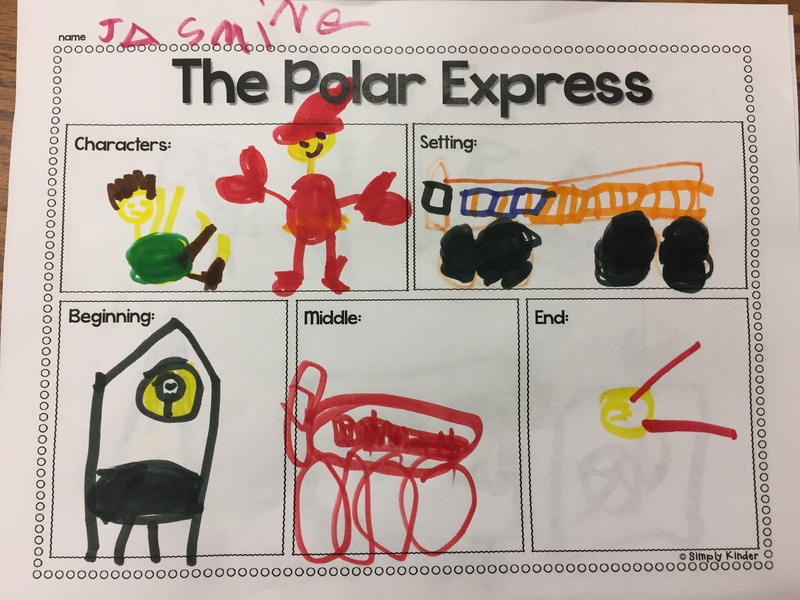 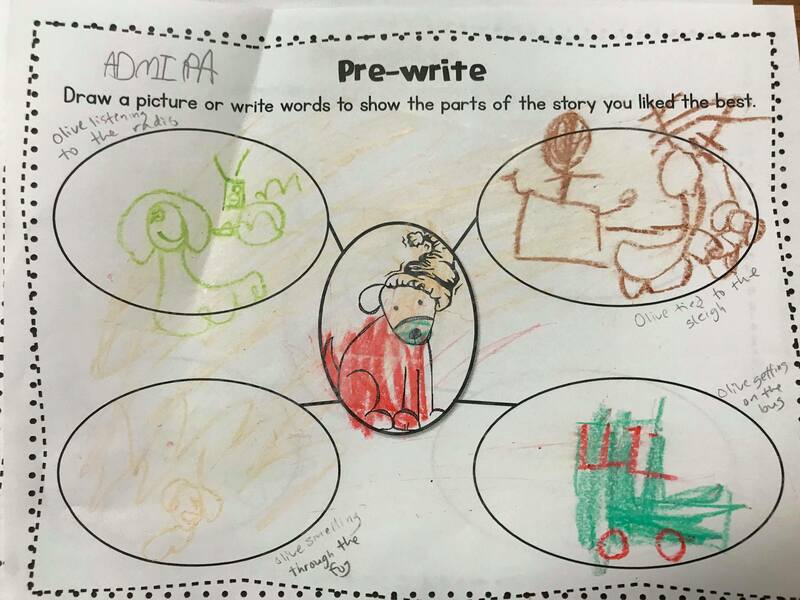 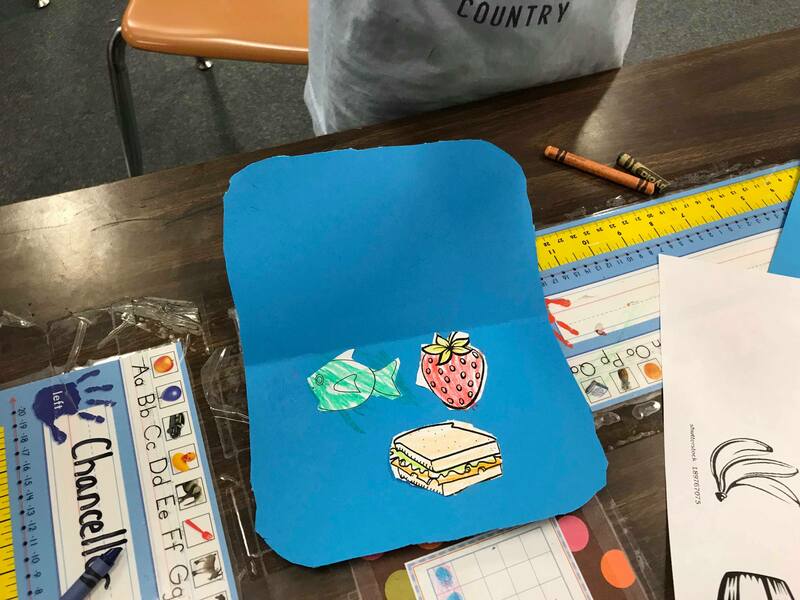 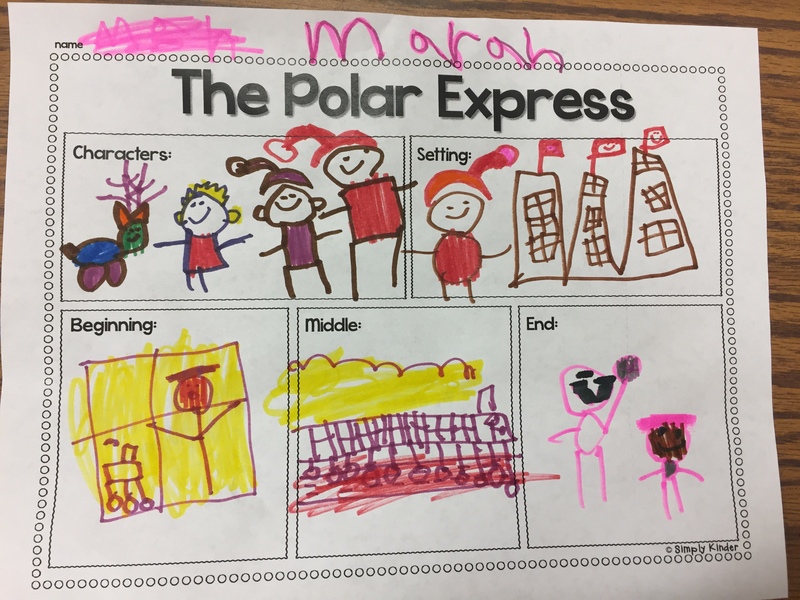 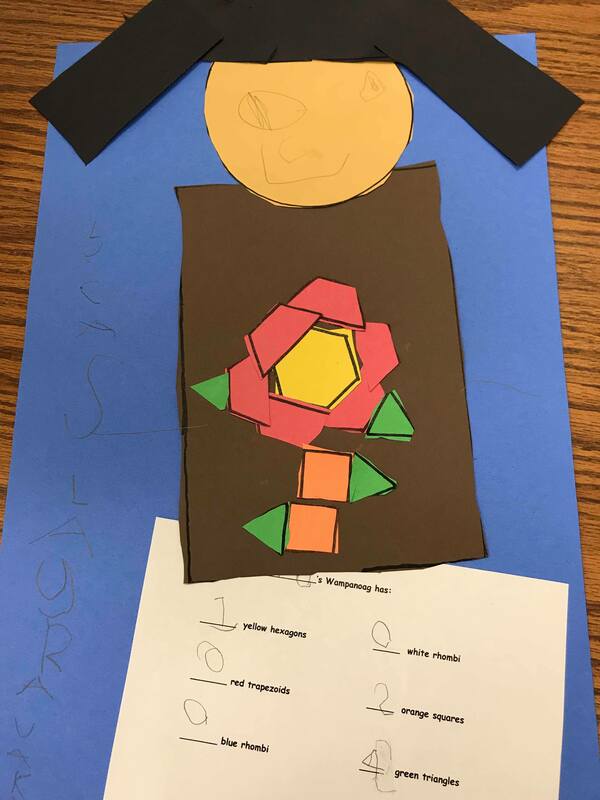 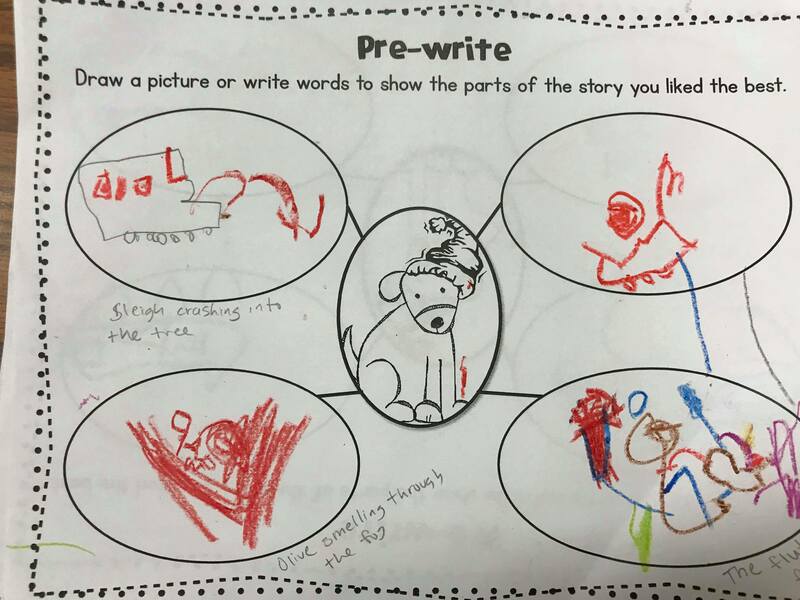 We read the story I Know an Old Lady Who Swallowed a Pie and used pictures from Texas Kindergarten Teacher to retell the sequence of the story in our bellies. 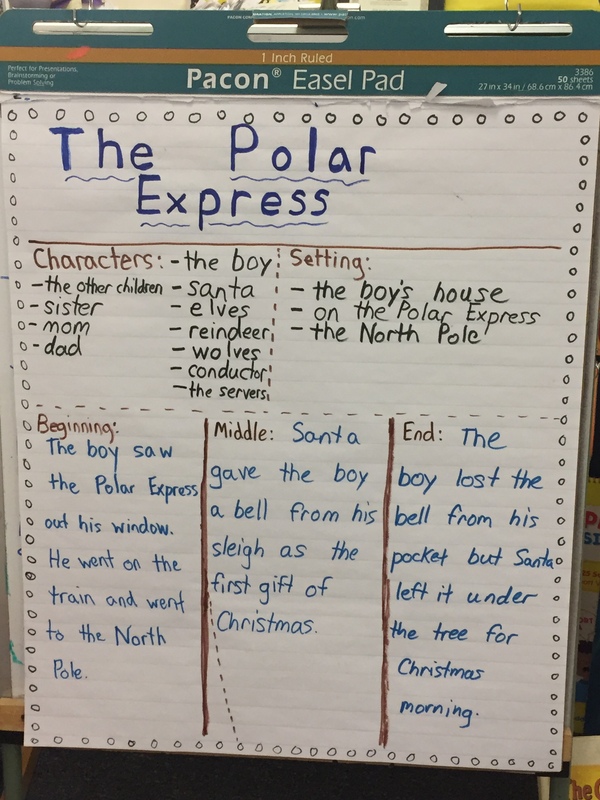 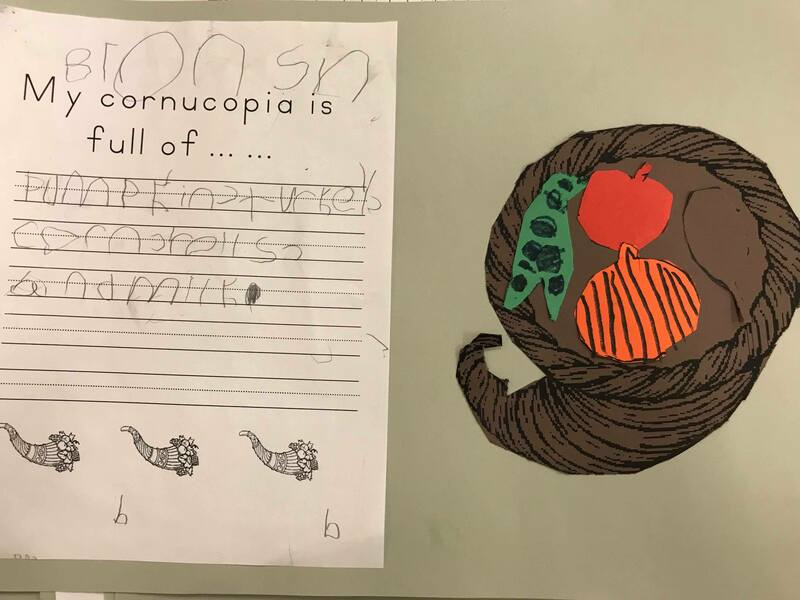 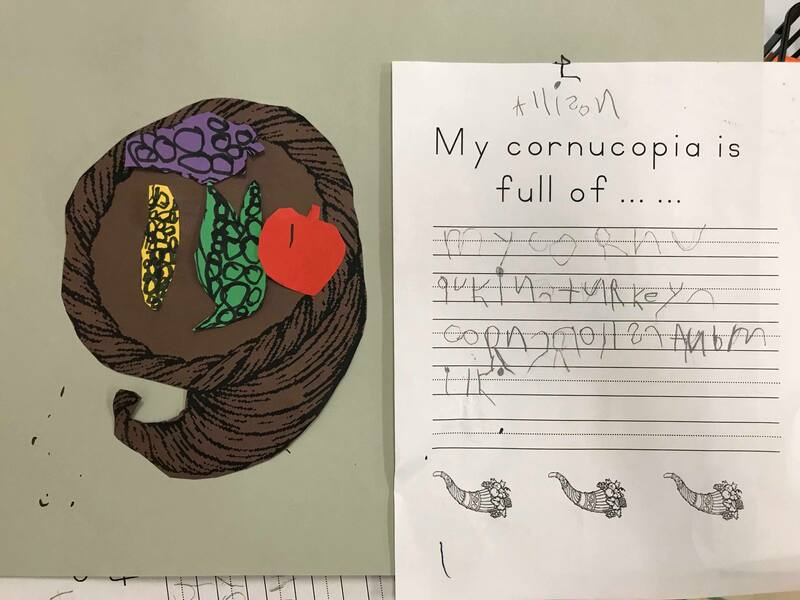 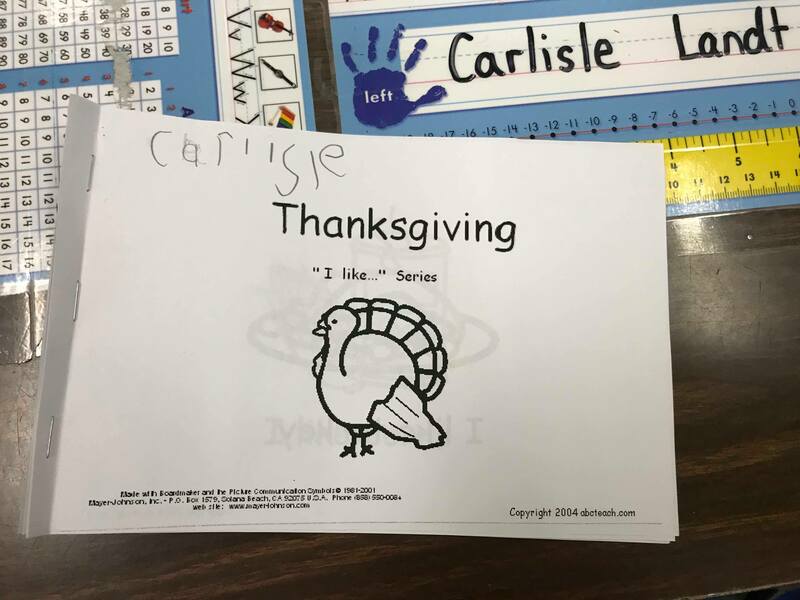 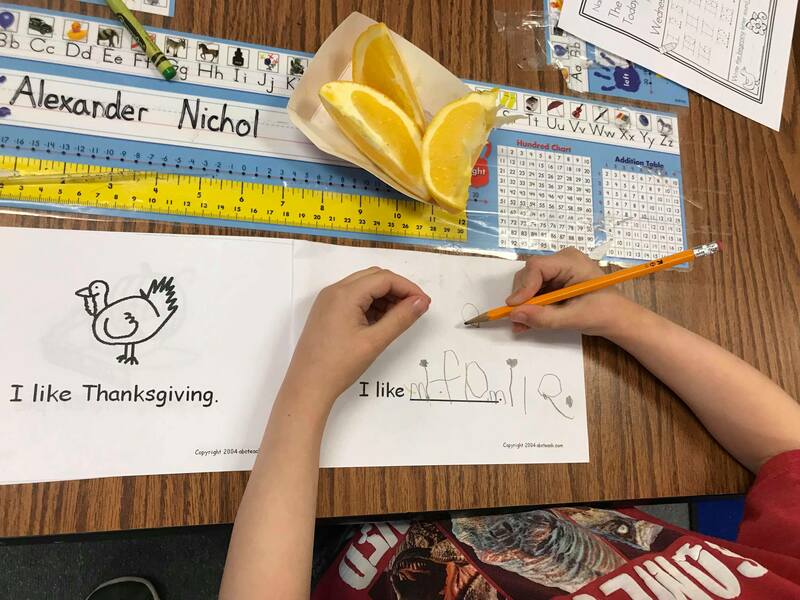 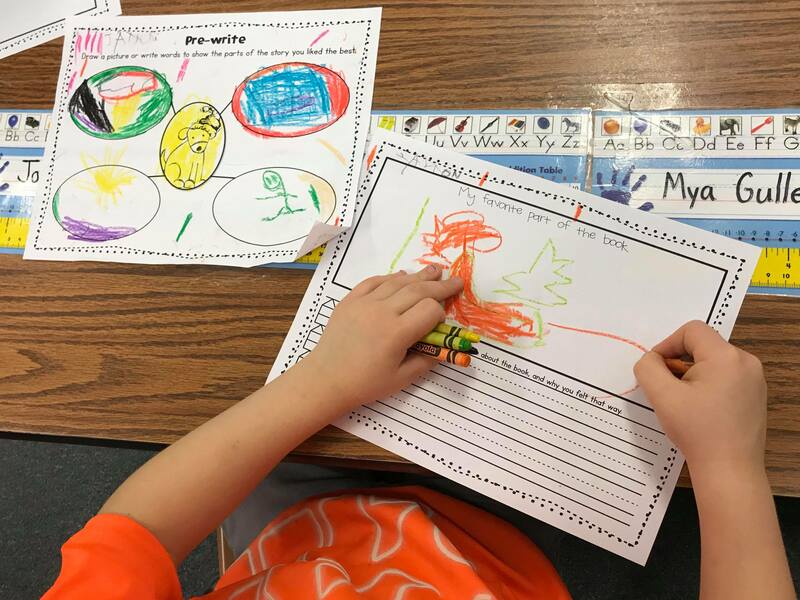 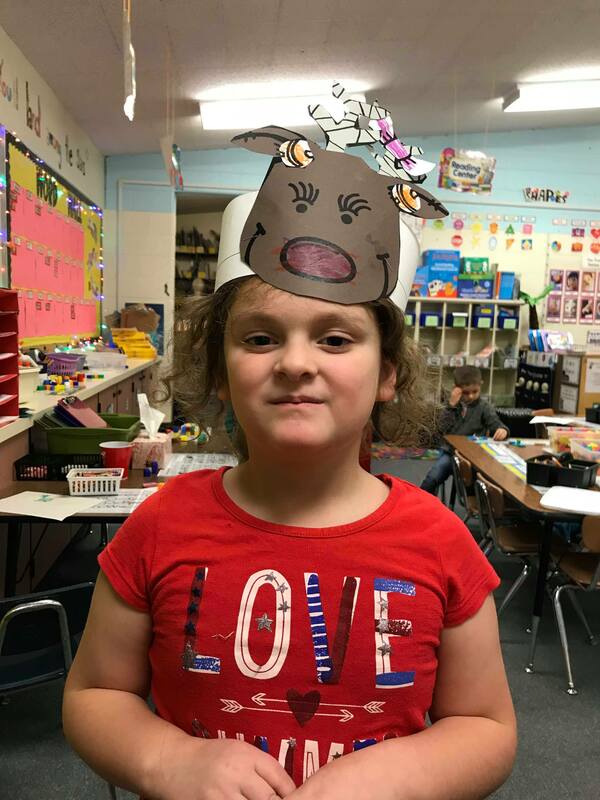 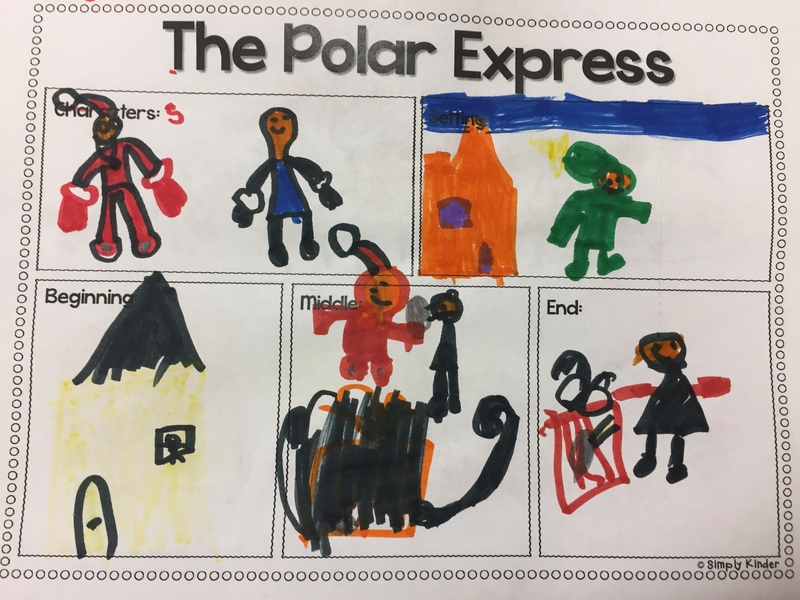 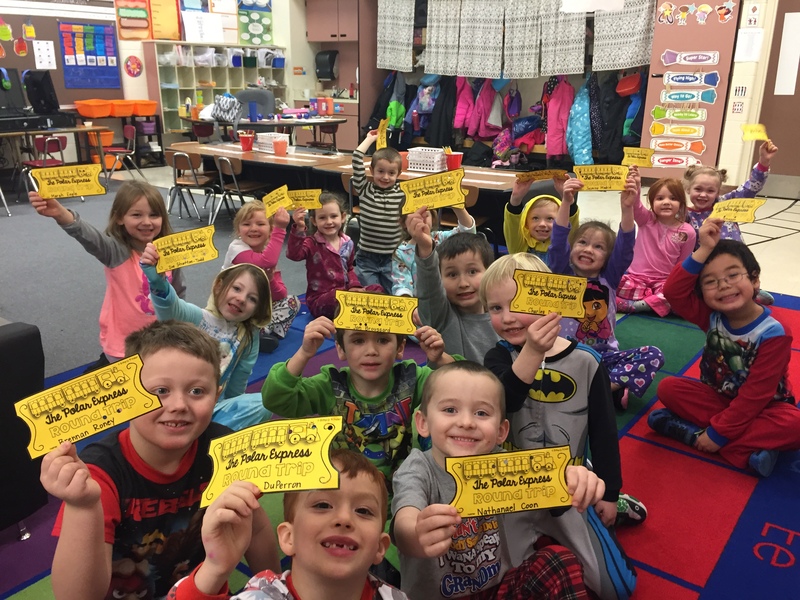 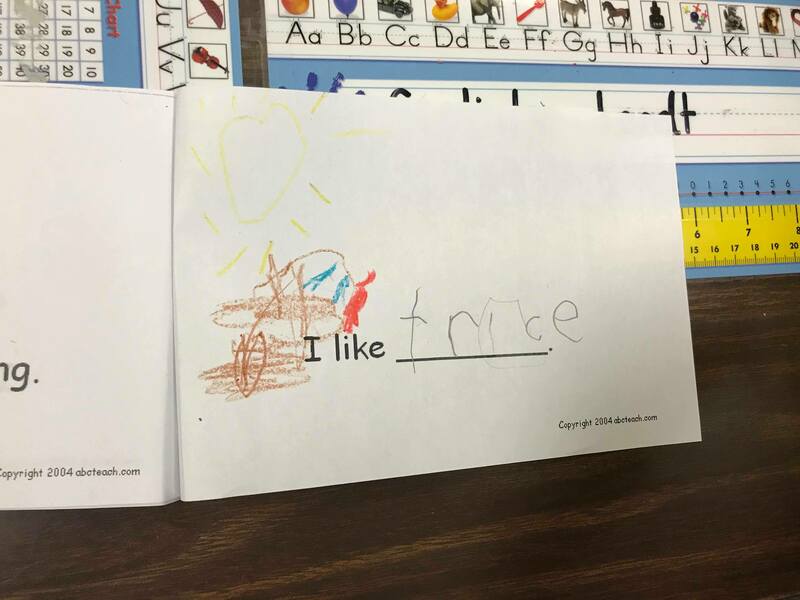 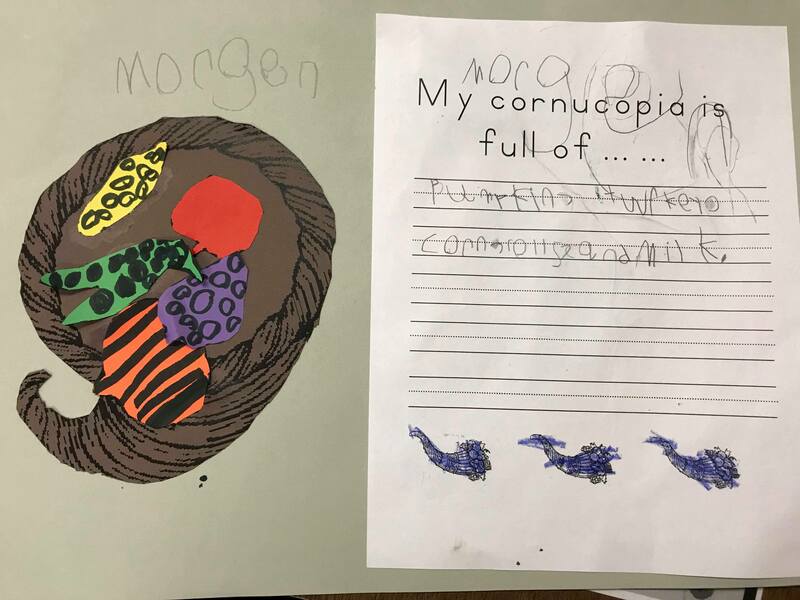 For partner reading, students read the emergent reader book Thanksgiving and then completed the sentence at the end of the book writing something about Thanksgiving that they liked. 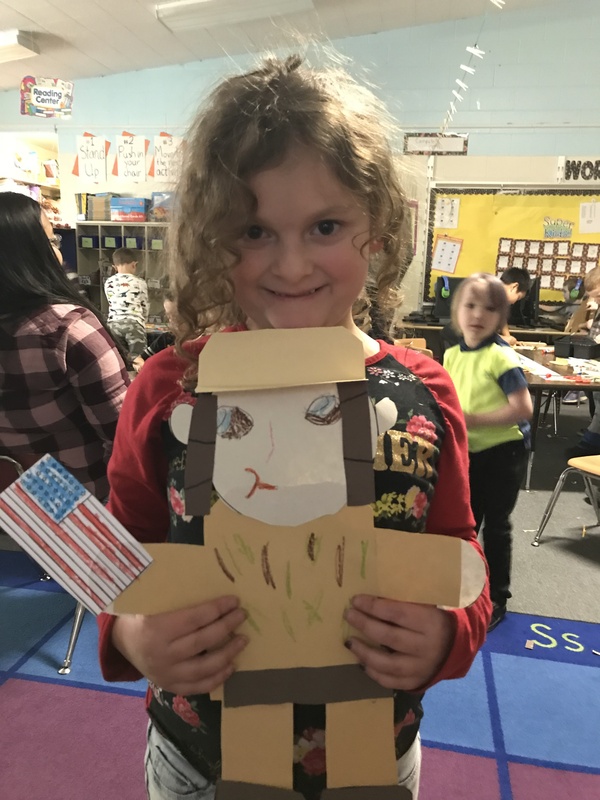 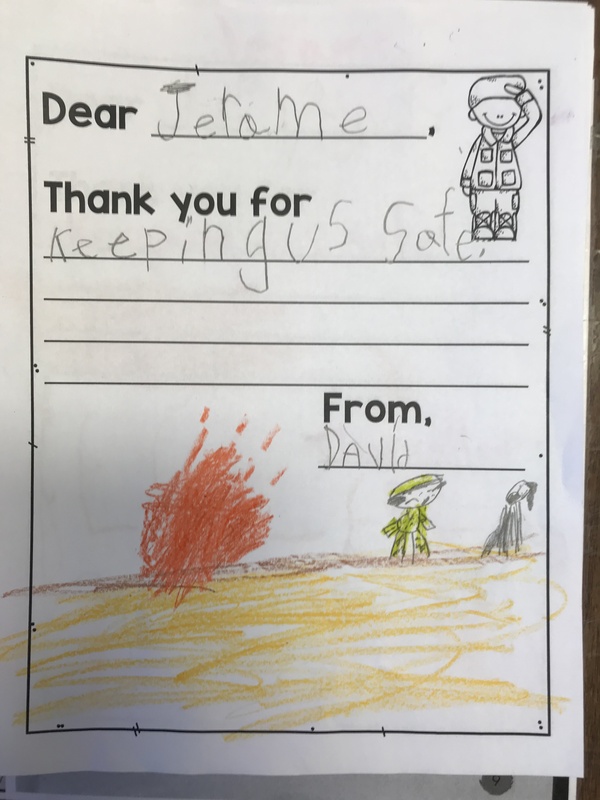 This past week we celebrated veterans day and learned about how the men and women who served in the armed forces are heroes. 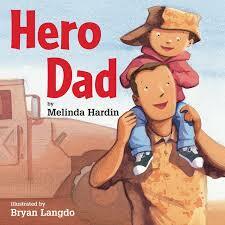 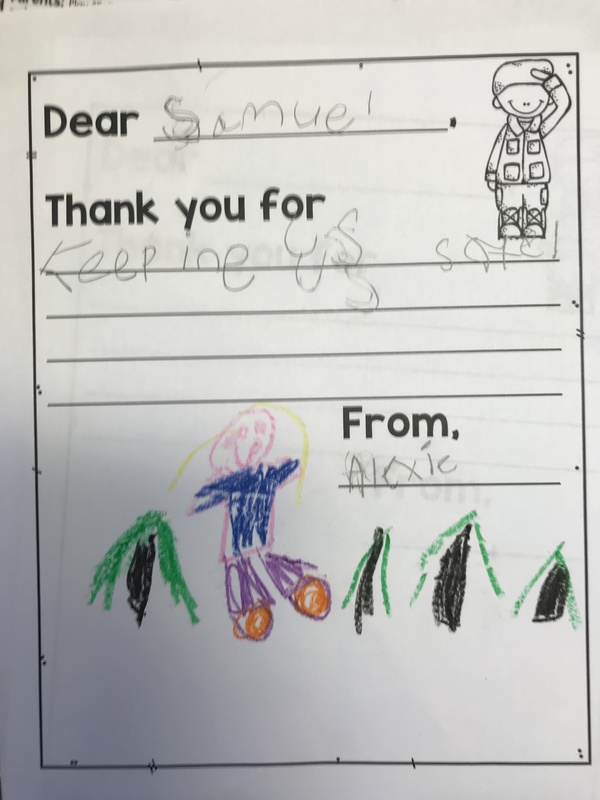 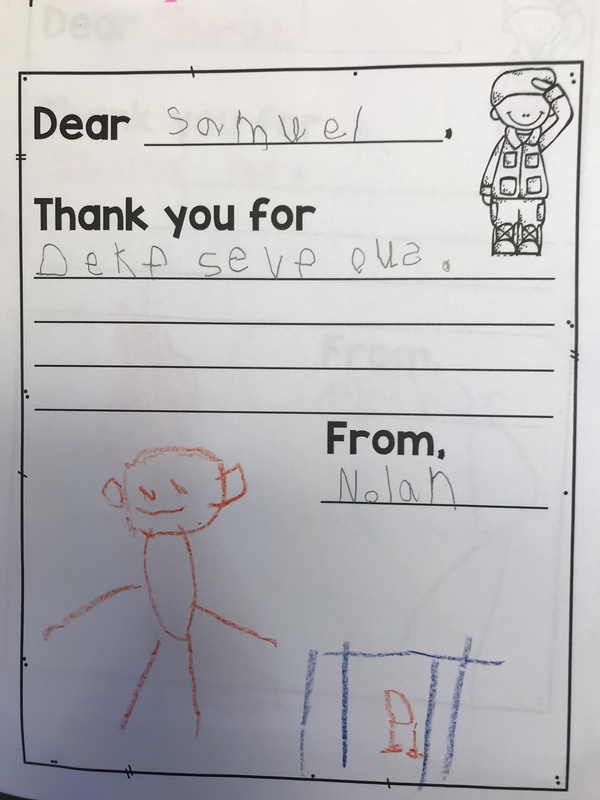 We started out by reading the book Hero Dad and writing letters to two parents of our students that are veterans, thanking them for their service. 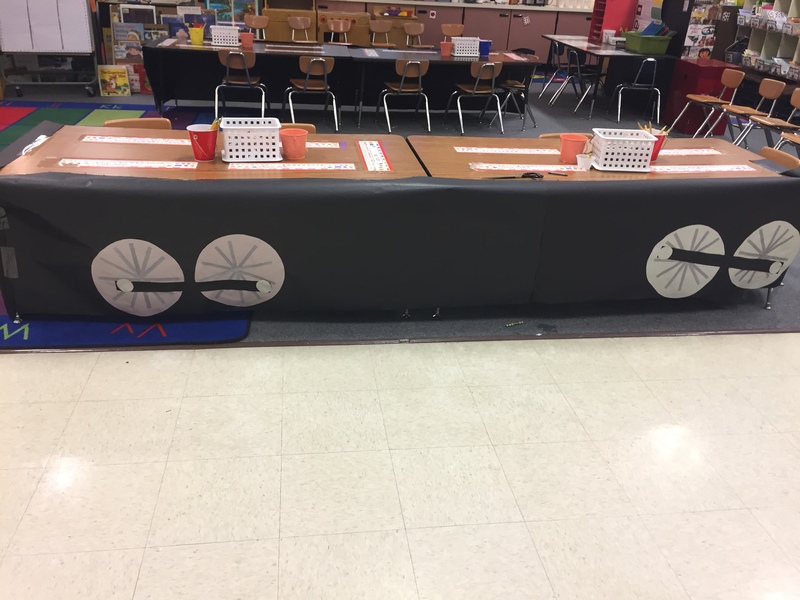 The writing prompt can be found here. 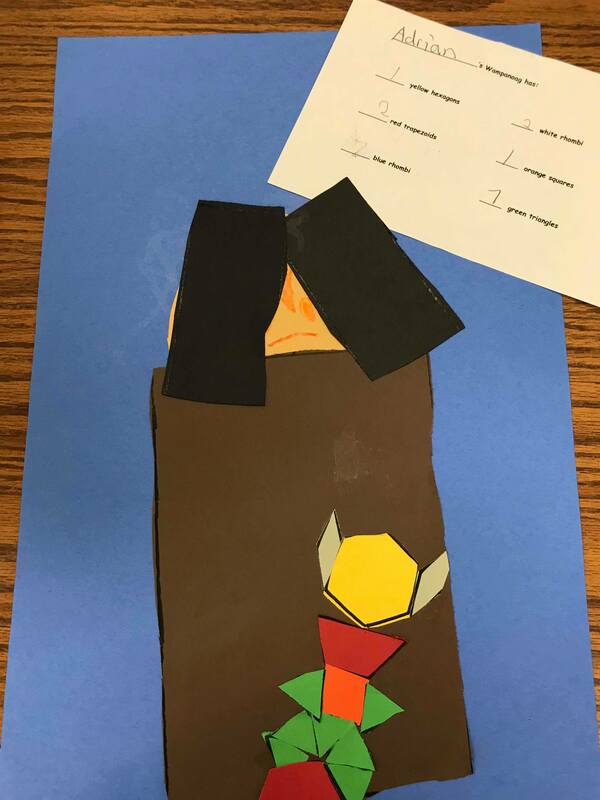 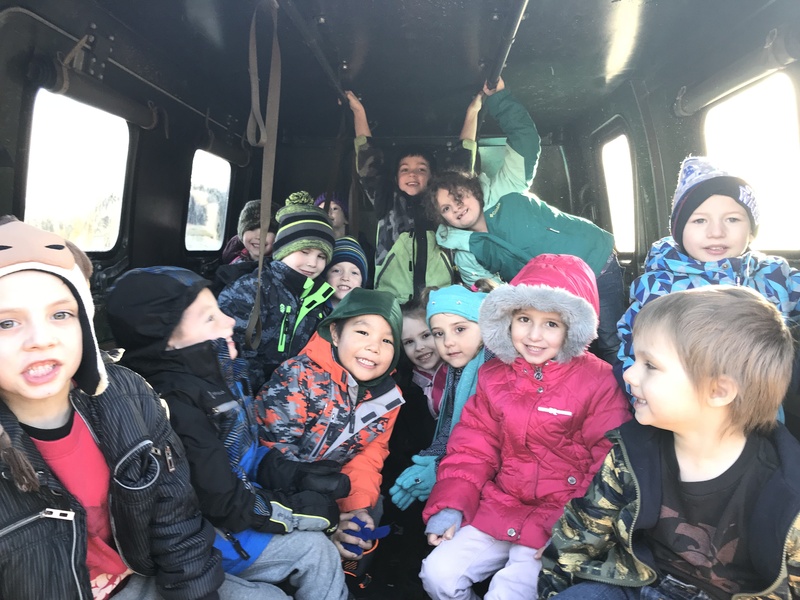 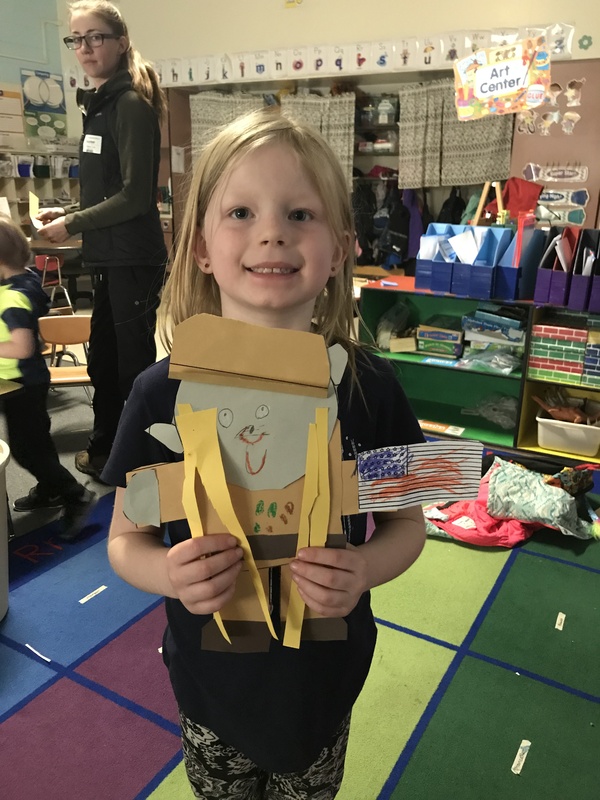 On Friday we created construction paper soldiers as well as got to check out a few military vehicles from the Army National Guard. 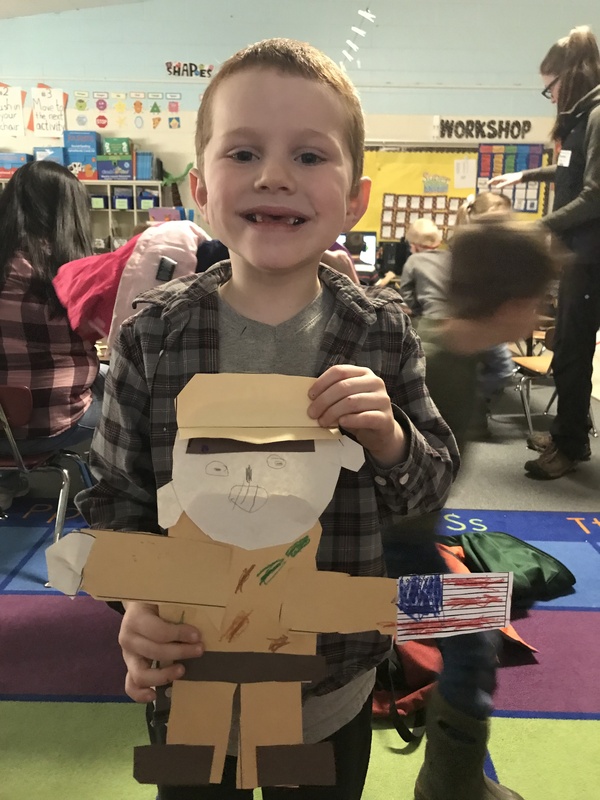 The art project can be found in this Veterans Day Unit pack here. 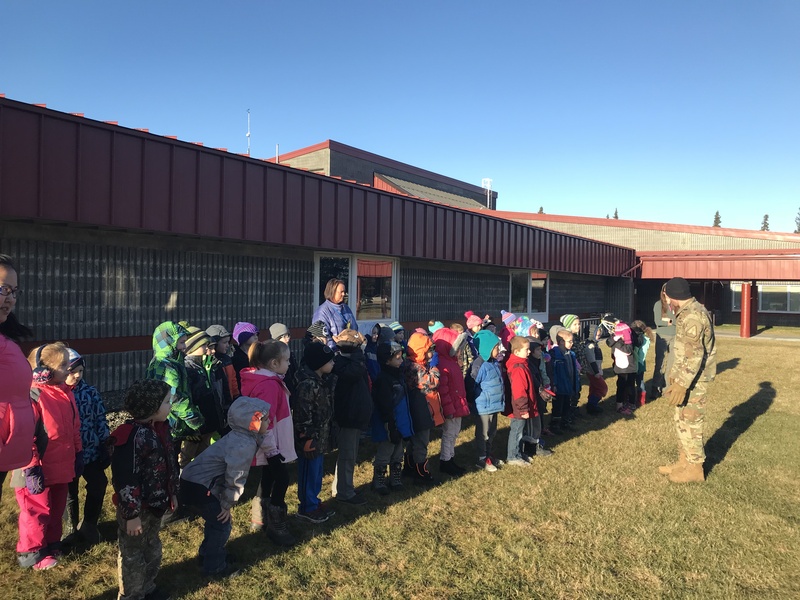 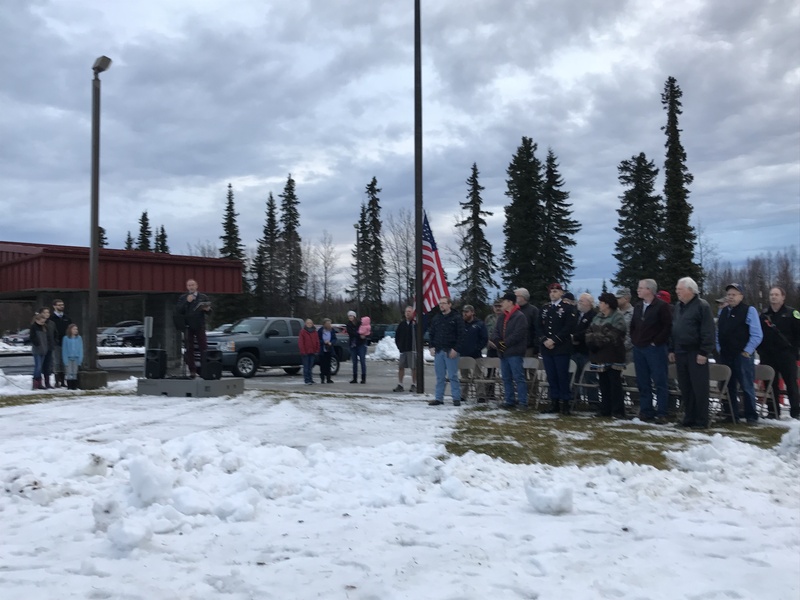 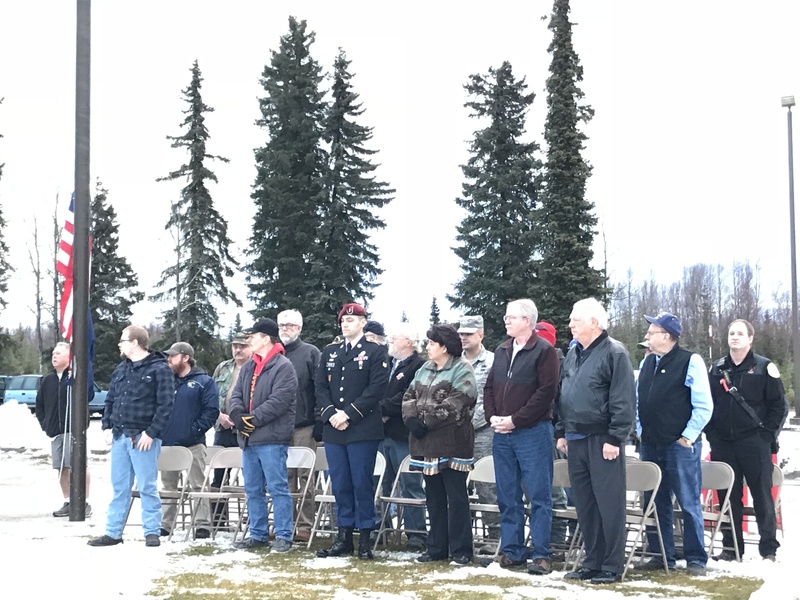 On Monday of this week we invited our friends and family who are veterans to come to a school-wide assembly where we could honor their service. 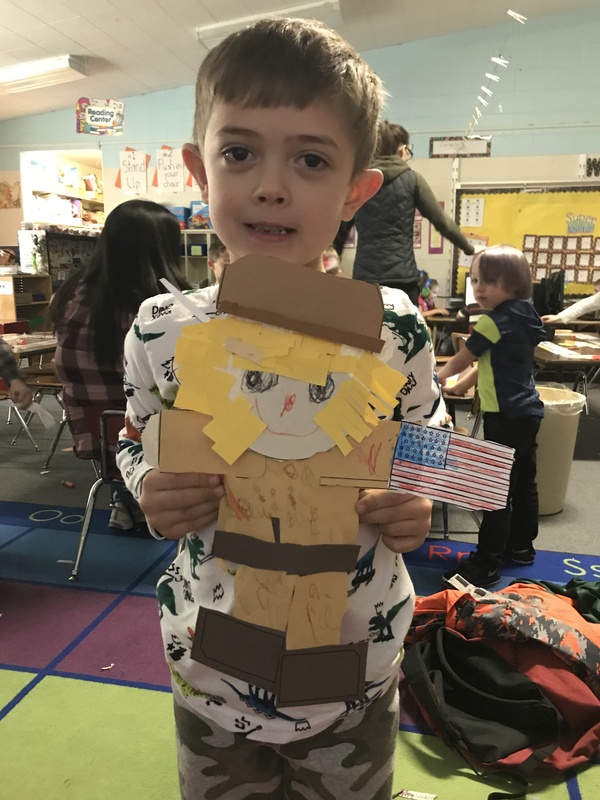 We sang My Country Tis of Thee and said the national anthem as well as our principal read a poem. 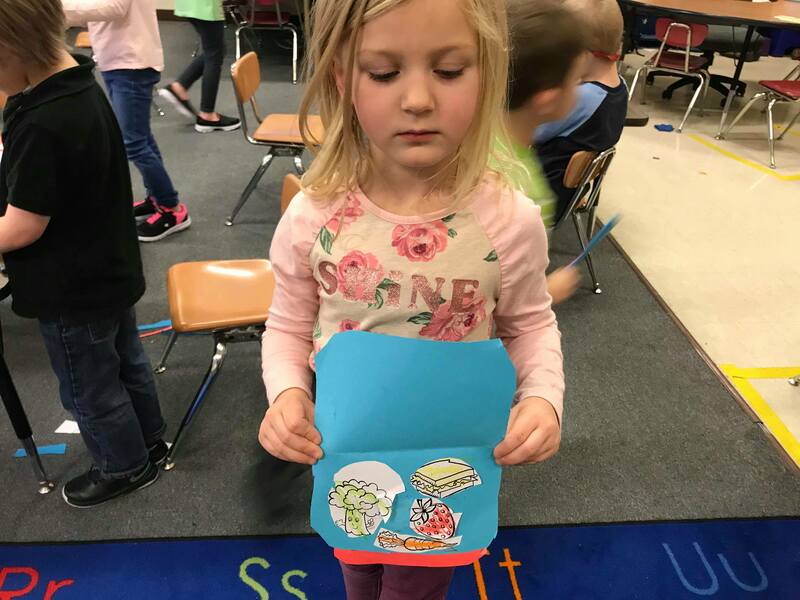 At the end of the day we wore headbands we cut out and colored out to the bus. 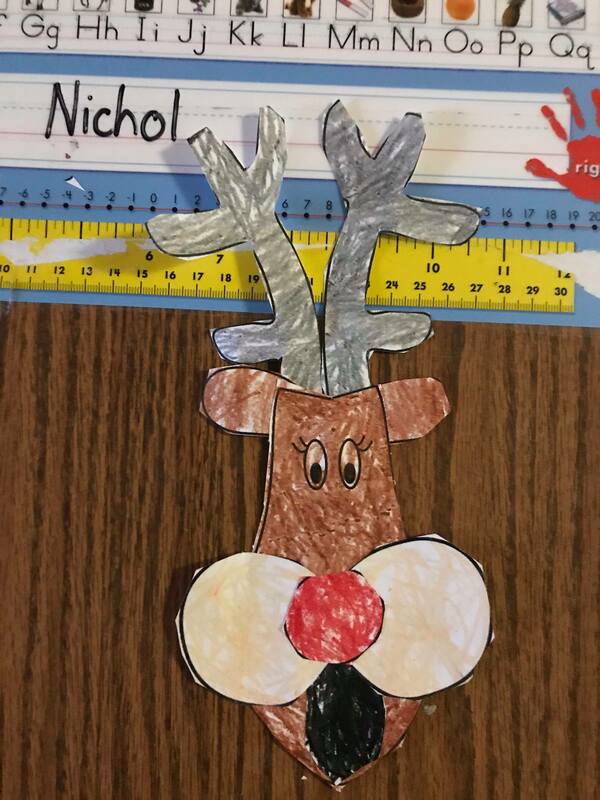 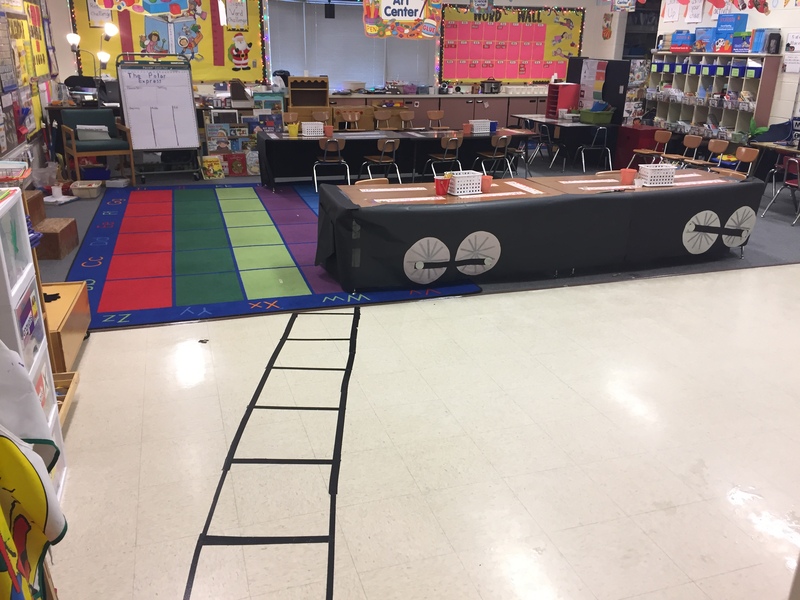 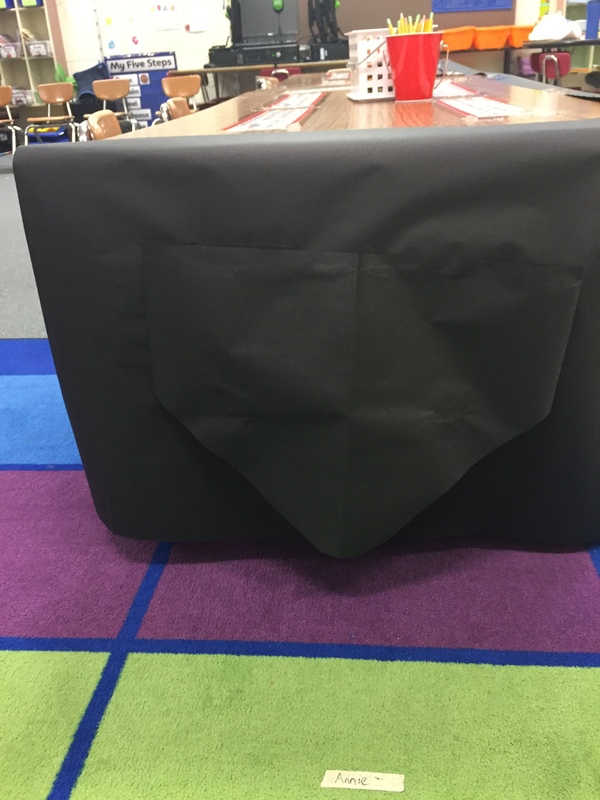 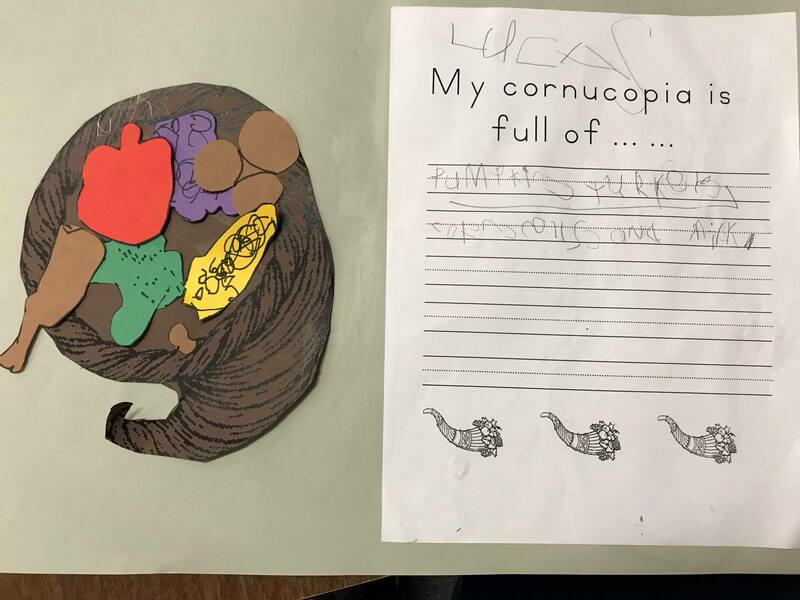 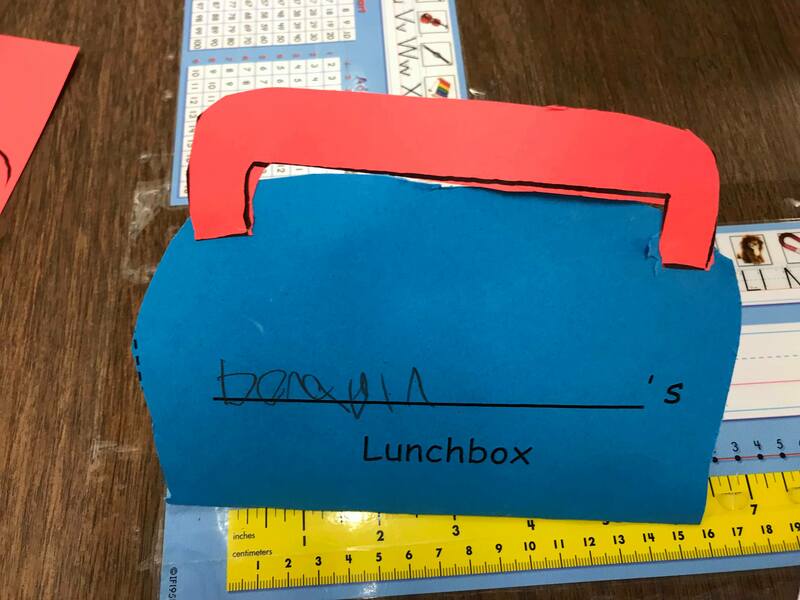 Teachers can find this headband activity here.